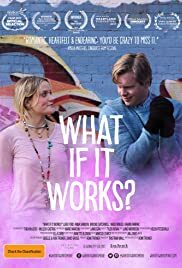 A delightful film shot in some of the most arty and colorful streets of Melbourne.it traces the impossible love story between Adrian, an irrepressible tech nerd stuck in his OCD rituals to avoid confronting the pain of the past and Grace, a DID sufferer, struggling to integrate her personality and her life through art and therapy. The writer director, Romi Trower, tells the story with great insight, integrity and love. Despite their serious mental health issues, Adrian and Grace are portrayed as interesting, capable, intelligent people with needs, hopes and dreams like everybody else. No attention is spared in creating detailed sets, quirky wardrobes and great music. This beautiful film radiates honesty, humanity, pathos and humor. It is a must see!